If You Work A Desk Job, Stand Up And Stretch! You eat right, you exercise, you try to keep your stress to a minimum…but are you still at risk for early death? A recent study from Pennington Biomedical Research Center in Baton Rouge has shown that the answer could be yes. The culprit? Sitting. The study concluded that if people spent less than three hours per day sitting, they would likely add two years to their life expectancy. I know what you’re thinking – you are at a desk at work eight hours per day, and then you are home – sitting down to dinner, sitting in front of the television – or out and about sitting at a restaurant or at a movie theater. Have you ever thought about how much time each day you spend sitting? Probably most of it! So if you want to find a healthy balance between all the sitting you MUST do versus trying to find ways to NOT sit, I have a couple of suggestions. 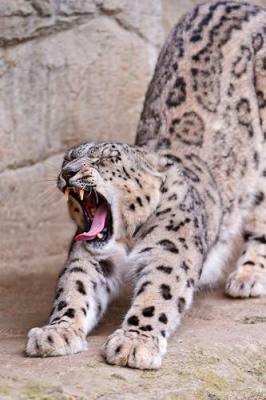 One is to get up and stretch every hour. You may have heard this advice before, but now you can really see why it matters. If you stand up, walk around a bit, and then return to work, you can stretch your muscles and get your blood circulating. These hourly mini-breaks help because medical research has shown you can combat the effects of a sedentary day just by taking little breaks from all the sitting. The less time you spend sitting, the less likely you are to suffer from heart disease, diabetes, or even early death. Sounds simple, I know, but it’s true! I also stand every day while I eat lunch – it helps that I have a counter-height kitchen table. I just pull out the chair and stand there for 15 minutes while I eat. It’s a great way to stretch out my legs in the middle of the day. Of course, another great non-sedentary use of your lunch hour is to do what my sister does – spend that time walking. Round up a couple of work buddies to join you or maybe use that time to get a break from your co-workers! If you have a great way of working our new Sit Less, Stand More motto into your work day, I’d love to hear from you! Let me know what steps you’re taking to move away from the sedentary lifestyle!